Easter is always a fun holiday to celebrate as we welcome the spring and enjoy family time together. If you are looking for an easy Easter dessert with all the cuteness that Easter should bring, then you will love this easy Easter dessert pie! Here is the secret part: Marie Callender’s frozen cream pie desserts. This way you get all the homemade goodness you crave while spending way less time in the kitchen and more time with family and friends. There are 8 Cream Pies that you can choose from to make the perfect easy Easter dessert for your family. You will love Marie Callender’s special touches such as made-from-scratch lattice crust and hand-placed chocolate curls. Marie Callender’s uses high-quality ingredients to create desserts that smell, taste and look just like homemade so that your family can slow down and enjoy together. 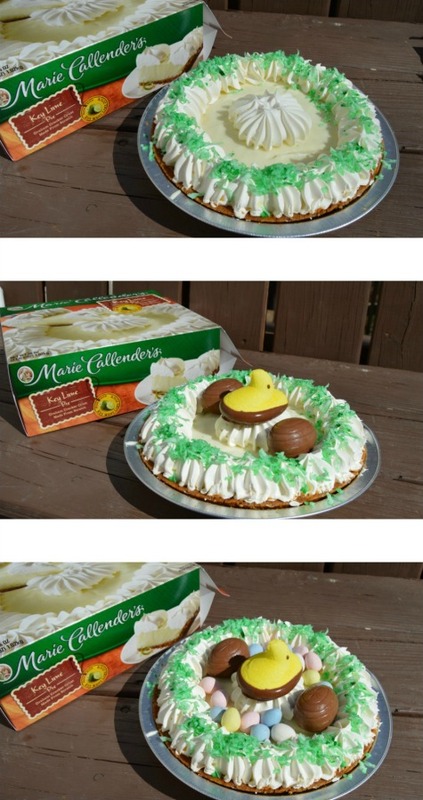 I chose the Marie Callender’s Frozen Key Lime Pie because my family loves the genuine Key West lime juice flavor and because I thought the ring of whipped topping rosettes would be the perfect “nest” for my quick, easy Easter dessert pie toppings. 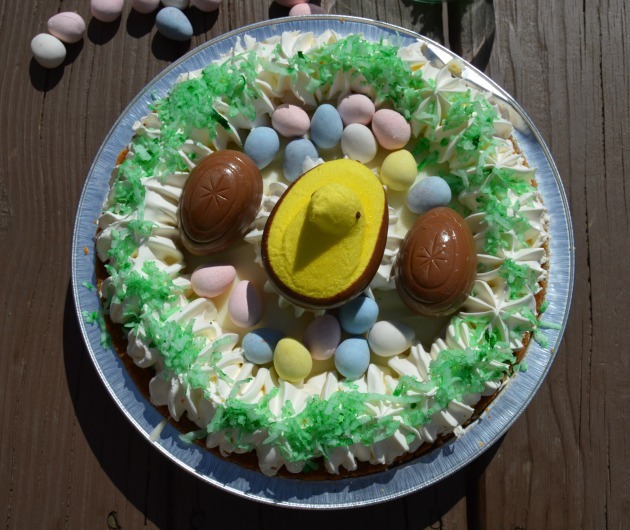 I gathered up our favorite iconic Easter candies and and some shredded coconut and I was able to create a pretty and easy Easter dessert pie that would do any celebration proud in just a few moments. Plus decorating was fun! 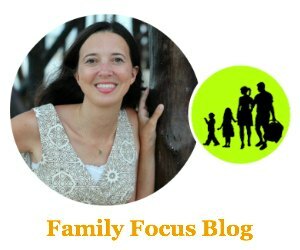 Here are instructions to recreate my easy Easter dessert pie but you could certainly just use this for inspiration and sub items that your family loves most. The Marie Callender’s Frozen Key Lime Pie does come frozen so I brought it home and unboxed it and went to work decorating while it was frozen. Then when I was done, I covered it back up with the plastic dome it comes with and put it in the refrigerator until I was ready to serve it. 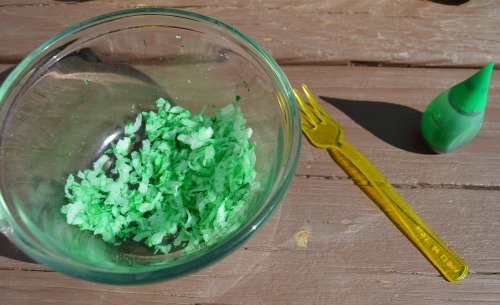 First put your shredded coconut into a small bowl, add your food coloring drops and mix well until all the “grass” is green. Then go ahead and sprinkle the “grass” onto the ring of whipped topping rosettes to create your “nest.” Super easy. Next, I put my marshmallow chick right in the center on top of the little rosette mound. Then I added the large chocolate eggs, and finally the small candy eggs. That is it. Your masterpiece is done! With Marie Callender’s, you can save time and treat yourself to a beautiful dessert that smells and tastes just like homemade. Make your spring even sweeter by adding your own special touches to a Marie Callender’s pie! You can find more custom creation tips on the Marie Callender’s Meals Facebook page or Marie Callender’s Tips page. 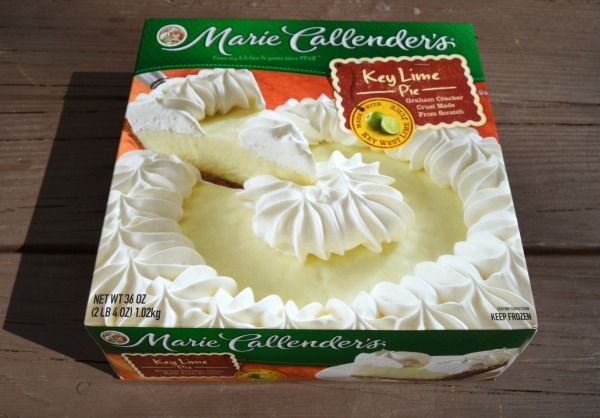 You can also visit Marie Callender’s Pinterest for more “ins-PIE-ration”! 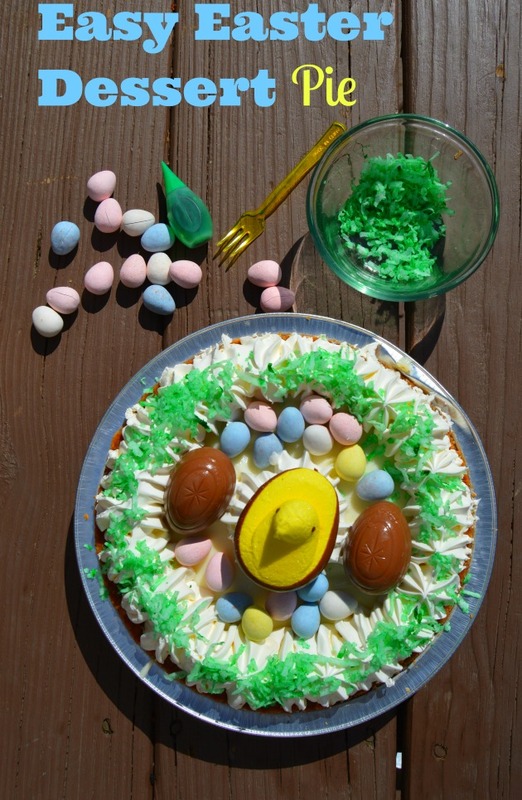 So do you think you will try this fun and easy Easter dessert pie? You had me at shredded coconut. I love it! This would be an excellent dessert for my church luncheon. It’s so cute and full of yummy stuff. I like that you can change this pie up by simply changing out the pie flavor. Lime, chocolate or banana would be delish!